Our work is based upon stories shared with us by caregivers, advocates and community allies. Their support makes our work possible. All our comics are licensed under a Creative Commons Attribution-NonCommercial-NoDerivatives 4.0 International License. Please see the website footer to learn how to credit our work. 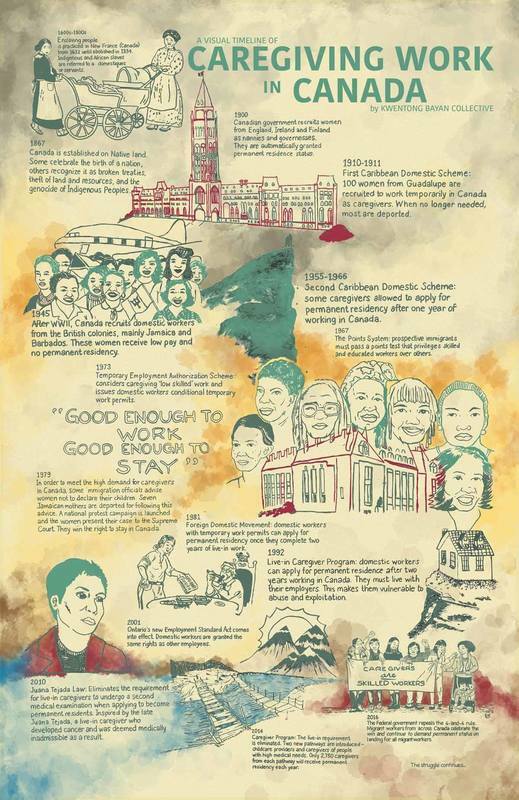 Kwentong Bayan’s mini-comic on the history of the Live-in Caregiver Program and contextual essays by Conely de Leon and Zenee May Maceda has been published in the print anthology, Drawn to Change: Graphic Histories of Working-Class Struggle. 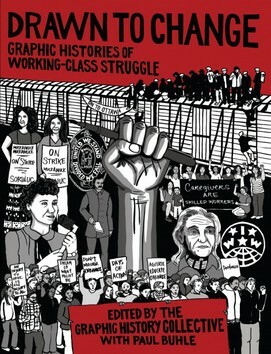 The book is edited by The Graphic History Collective with cover montage illustrated by Kara Sievewright. Thank you to the Graphic History Collective for all their support and congrats to all our fellow artists! 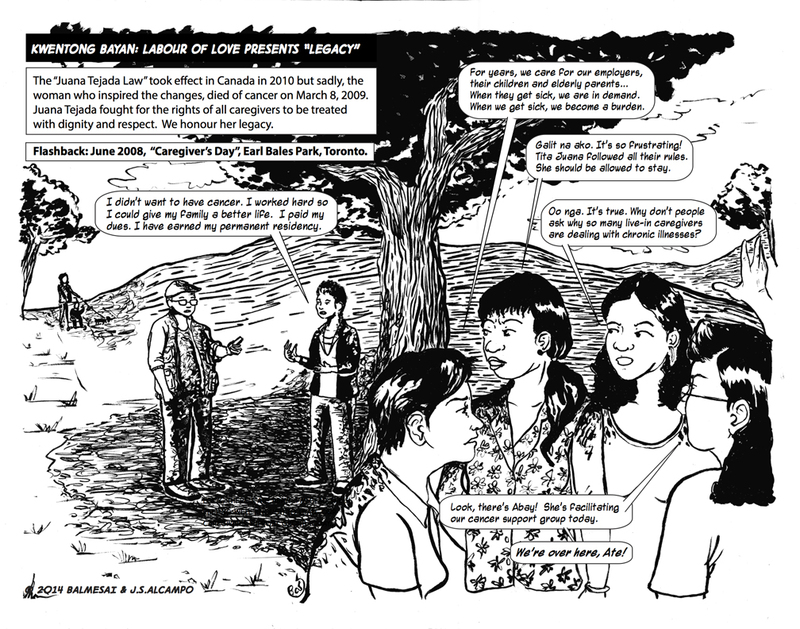 Thanks to curator Stacy Leigh Pigg and Cristina Moretti at Centre for Imaginative Ethnography for featuring Kwentong Bayan: Labour of Love in the “Imaginings Project: Comics and the Anthropological Imagination”. Imaginings is a new space for projects which aim to disrupt, disturb, enrage, muddle; a generative space to think about new and old questions, in new and sometimes old ways. 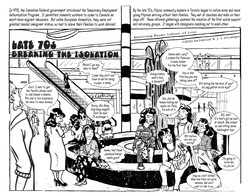 Kwentong Bayan's contribution to the Graphic History Project is a 10 page mini-comic consisting of five double-page spreads that highlight key turning points in the history of the Live-in Caregiver Program. 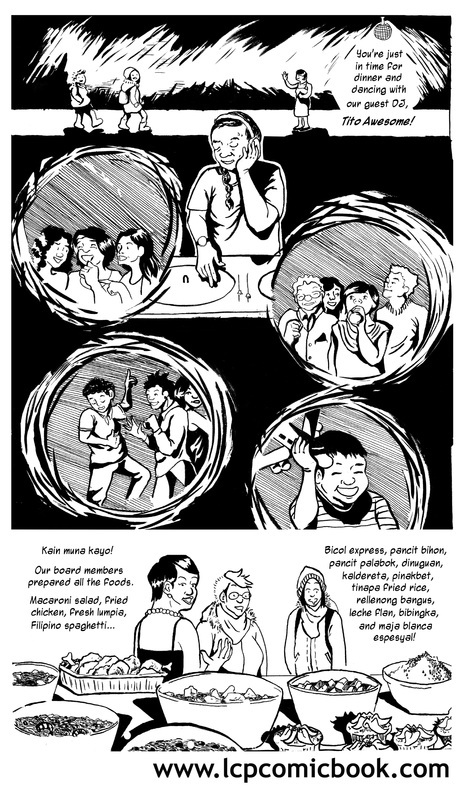 We will expand on these story lines in our full-length comic, Kwentong Bayan: Labour of Love which is currently under production. The style of these "splash pages" is inspired by Filipino comic book illustrator and writer, Francisco V. Coching (1919-1998). 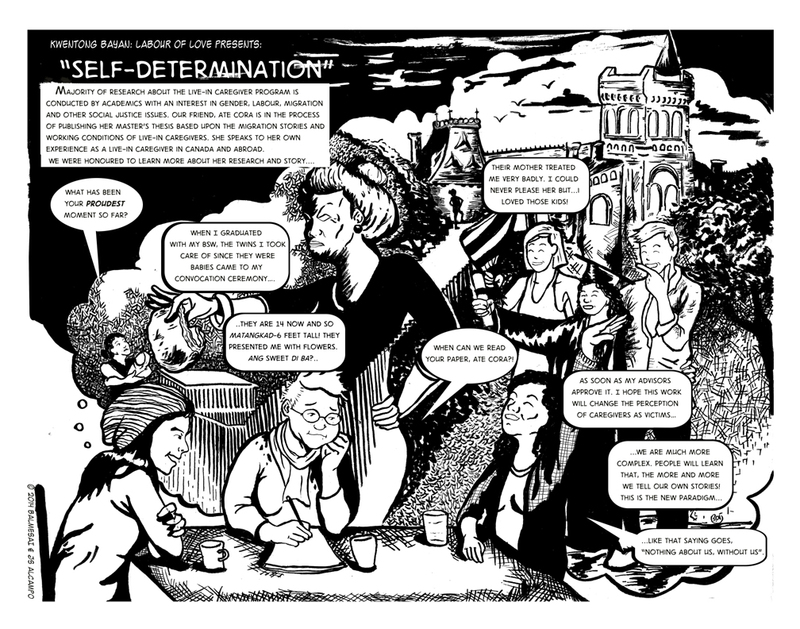 You can view this series online, along with other graphic histories of resistance commissioned by the Graphic History Collective from 2014-2015. The Graphic History Project will be published in book format in 2016.